Bisexual pro wrestler Anthony Bowens, 27, has grappled with others in World Wrestling Entertainment (WWE), Global Force Wrestling, Impact Wrestling and a recent five-way match with WrestlePro. But in this new Anthony Bowens love song and music video — dedicated as a birthday gift to his 24-year-old boyfriend Michael Pavano — he grapples with love he feels for Pavano and proves himself a heavyweight in the arena of love. Now, before you start rolling your eyes at the idea of a guy making a gooey music tribute to his boyfriend, you should know that Pavano helped Bowens come out. 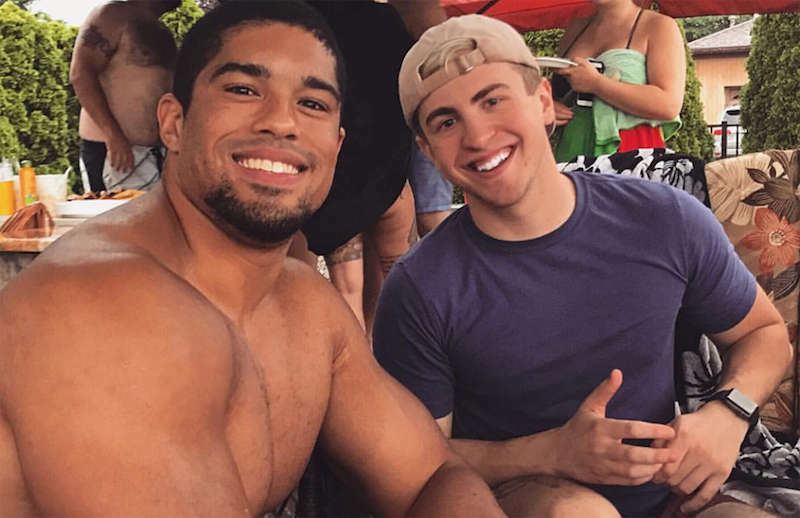 As a professional athlete, Anthony Bowens worried about staying in the closet. 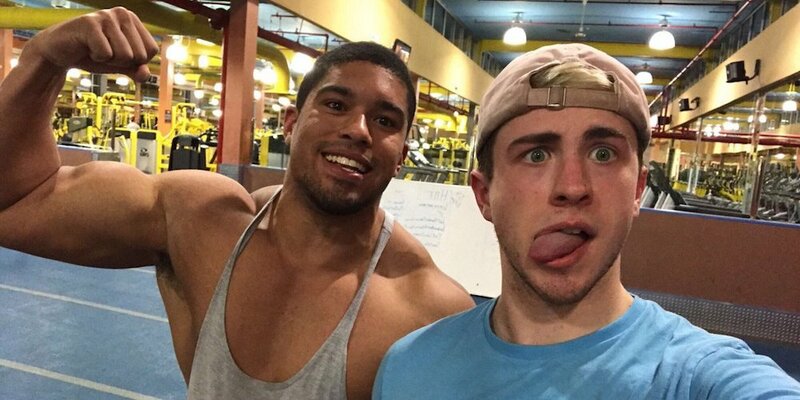 When Bowens appeared in a funny September 2016 YouTube video alongside his boyfriend, he asked Pavano to keep their relationship a secret by editing out the part where Pavano introduces Bowens as his boyfriend. But when Bowens saw the hurt on Pavano’s face, he relented, thinking no one would see the video anyway. To Bowen’s surprise, three months later his fellow wrestlers discovered the video and had all watched it. Now that they all knew, and their only question for Bowens was why he hadn’t told them sooner. His teammates told Bowens they loved him, cared for him and, above all, accepted him. So this Anthony Bowens love song and music video is actually a tribute to the hope and love that Pavano has given him, and a pledge to return that support in their lives ahead. Also, the Anthony Bowens love song sounds a lot more like a darkly intense electronic rock song than your usual ooey-gooey love ballad. And if you still find it cheesy, don’t be a hater! Making music and expressing your feelings ain’t easy. In fact, it might even be harder than wrestling. What do you think of this Anthony Bowens love song and music video? Sound off in the comments.